A-PIM (All-in-1 Personal Information Manager) 4.0.35 - Download Win Apps. 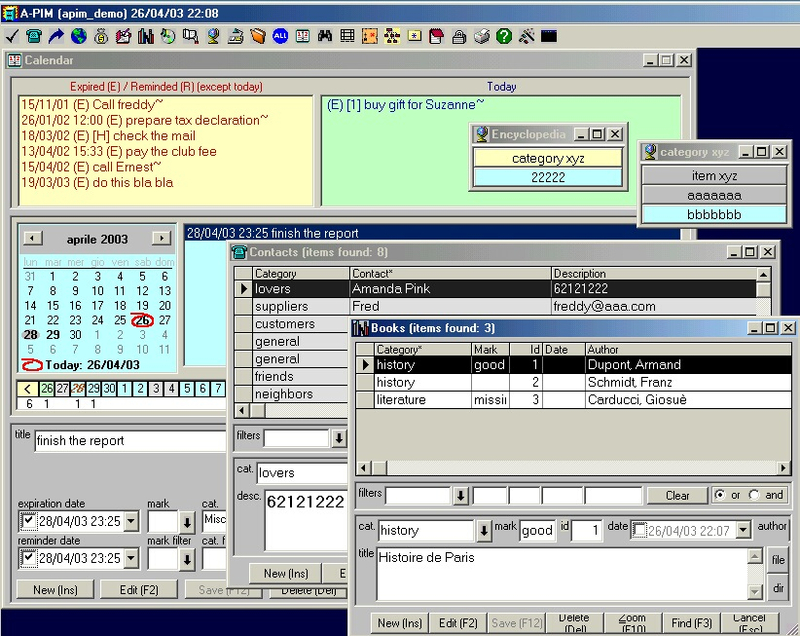 Ergonomic personal organizer, calendar and journal for Windows 9x/Me/NT/2K/XP. Capture, index, cross-reference, and find related information easily. This freeform information manager software handles large numbers of notes and clippings, keeping them quickly accessible. Import many file types. Link to websites and files.